Bernard Butler is a living sign that the best move for a muso who bravely resists his or her “proficiency”-obsessed leanings is to find a counterbalancing collaborator who can let some air into all their musty old know-how. That Butler is a richly gifted guitarist is beyond any doubt, and that he can write a musical track and engineer a record has been proven many times over. But then there’s the niggling issue of his two just-okay and thus disappointing solo albums; it’s not so much “the less said, the better” as it is that there’s really nothing much to say about them. When Suede appeared in the early 1990s, the conjunction of Brett Anderson’s decadent lyrics and vocal melodies with Butler’s excessive way with a guitar garnered the group comparisons to The Smiths’ analogous Morrissey/Johnny Marr teamwork. 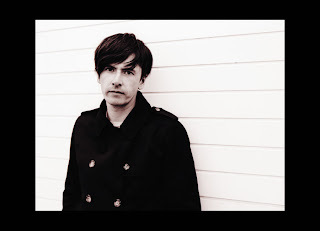 Unfortunately, it appears that by the same token, Butler solo suffers from Johnny Marr Solo Syndrome: like Marr, his passable, nondescript singing and bland, uninspired way with words are dwarfed to the point of embarrassment by an ability to make music that deserves so much better. Hence I prefer Butler in collaboration. Whether it’s the gorgeous second McAlmont & Butler album or his all-too-short-lived Brett Anderson reunion, The Tears, the Butler touch almost always makes a delicious cake just waiting to be iced by the right vocalist/lyricist (David McAlmont, Brett Anderson, et al). Butler brought his remarkably Spector-like wall-of-sound production techniques to those albums, and recently he’s bestowed the same favor upon a couple of releases that have found their way into my frequent rotation: Duffy’s Rockferry, half of which is done according to the Butler recipe; and, even more so, Sons and Daughters’ even-more-fantastic-than-expected second album, This Gift. The Amy Winehouse comparisons to which Duffy has been subjected are, in my view, superficial and unfair. I find both Winehouse’s persona and her sound to be surprisingly gimmicky in light of the frequently respectful critical attention she’s received (we won’t discuss the scads of the other kind of attention she seems more than willing to participate in). Winehouse collaborator Mick Ronson is no Bernard Butler, and though his recent production on the latest Kaiser Chiefs album shows him to be capable of bringing a certain apt razzle-dazzle to those particular proceedings, it’s certainly too slick to compare with Butler’s multidimensional sound when one is talking about “soul.” To my ears, Winehouse sounds like Annie Lennox without the saving self-awareness; evidently, when it comes to icy calculation, the difference between intentional/by design and unintentional makes all the difference. As enjoyable as I find Rockferry, This Gift is the out-and-out masterpiece of the Butler productions under discussion. I admired Sons & Daughters’ début long-player, The Repulsion Box, and the elements that made that album so strong--the band’s brilliant way with a melody, their commitment to classical pop dynamics and punk energy, and their passionately sensitive lyrics as brought to life through the technically very imperfect and supremely expressive voices of Adele Bethel and (less often, but very brogue-ishly effective) Scott Paterson--are still in abundant evidence. But This Gift’s great leap forward lies in its full-bodied production; The Repulsion Box, for all its propulsion, sounds skeletal and thin by comparison. Here, Butler has encouraged the group to employ as many hand-claps, tambourines--generally as many dimensions and textures of sound--as can reasonably be employed in the pursuit of richness (as opposed to clutter, which the album adroitly sidesteps). This Gift’s first single and opening track, “Gilt Complex,” is a stomping indictment of liberal guilt and self-congratulatory faux-action; “The Nest” has a Northern Soul beat deepened, with Butler’s echo-y touch and the sublime guitar melody swinging its way through the spaces in between, into something profound (later in the album, “Iodine” performs a similar trick to almost equally great effect). Countless songs have used it, but “The Nest” truly earns its brief but satisfying “Be My Baby” drum break towards the end. Butler aids the group in incorporating softer layers, too. The superlative “Split Lips” lifts the piano melody from Patti Smith’s “Because the Night” and provides its own extra-tender vocal melodies and post-traumatic lyrics (“Mixed-up words, find out what you meant/Watching the scene after the accident”) to top it off. 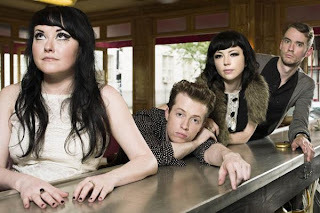 In manifesting so brilliantly the pleasures available from pop music, virtually every song on the album could be described as decadent, and Sons & Daughters know that that adjective can really only ever be complimentary to the kind of art they’re creating. As the “Johnny Marr” of Suede, perhaps Butler had little chance of bettering his counterpart in The Smiths, not least because circumstances did not allow him an equal time span. Post-band, however, I’d submit that Johnny Marr’s session work, production work, and solo projects have never really come close to reaching these heights. Mr. Marr is a musical genius, no doubt; but give me the magic, behind-the-scenes touch but recognizable touch like the one Butler has brought to “Rockferry” and “This Gift” over The Healers or Modest Mouse any day. Philosophically and ideologically speaking, the loss of any human life is not something to celebrate when one is speaking strictly of human rights and what should be the innate value of human life. But some political forces and ideas need and deserve to die. I had the same reaction to the mind-bogglingly rose-colored eulogizing of Reagan, and now.... Jesse Helms is dead. Let's hope that this is one (more) sign of the end of an era that's gone on and on in this country for far too long. "Jesse Helms' legacy is one of hatred, homophobia and racism. Although not its intent, that legacy has made our community stronger and more able to forcefully respond to bigotry and prejudice. As a community, we are more committed than ever to securing full equality for all GLBT people." — Joe Solmonese, president of the Human Rights Campaign.